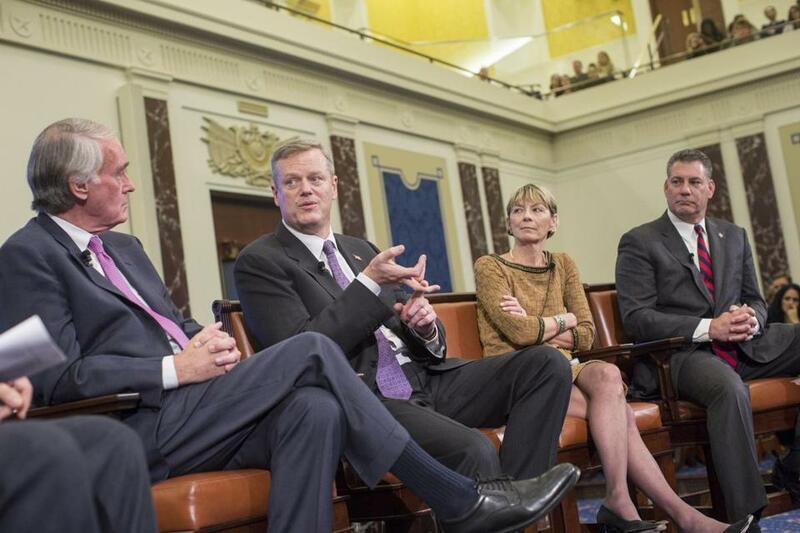 Senator Ed Markey (from left), Governor Charlie Baker, state Health and Human Services Secretary Marylou Sudders, and Middlesex County Sheriff Peter Koutoujian participated in a panel discussion last month about the opioid crisis in Massachusetts. Governor Charlie Baker is right to make the opioid crisis a top priority for his administration. The overdose epidemic in Massachusetts is causing too many deaths, tearing families apart, and hurting communities across the Commonwealth. But proposals to end the crisis need to go beyond old ways of thinking of substance abuse as a crime. For more than 40 years, America has been trying to arrest and coerce its way to decreased substance abuse and addiction. Today’s epidemic proves the futility of that approach. The Drug War has failed. Proposals to fight addiction that simply repackage those tactics also will fail. If Massachusetts is serious about ending the opioid crisis, we need a new approach, one that invests in public health rather than prisons. An effective plan would include treatment on demand and social services that do not take place in correctional settings and do not depend on coercion and imprisonment. 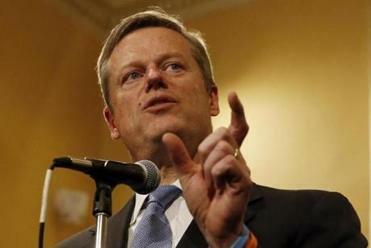 On the positive side, Baker’s plan prioritizes treatment. That’s good, as far as it goes. The problem is, the plan for treatment doesn’t yet go far enough. Along with prevention, the best way to reduce addiction is to provide treatment on demand. That means having beds available for people facing addiction when they ask for help. While the recent supplemental budget includes funds to add about 200 new treatment beds, that’s still not enough to address the need. According to the Center for Health Information and Analysis, more than 3,000 people complete acute detox every month in Massachusetts. But there are only 1,500 slots available on a monthly basis for longer term care that is necessary for detox to stick. More troubling is the plan’s focus on coerced treatment. The proposal would empower doctors, social workers, and police to demand that drug users enter a 72-hour lock-down, which can be easily extended into long-term, coerced treatment behind bars. Such measures raise due process concerns and, worse, could endanger those we seek to aid. Governor Charlie Baker’s proposal to limit prescriptions for opioid painkillers is worth a try. It makes sense to help an addict out of an immediate, acute health crisis. But the National Institute on Drug Abuse warns that “medically assisted detox is only the first stage of addiction treatment, and does little to change long term abuse.” Mandating a 72-hour hold on people has dangerous downsides. Emergency rooms could quickly become overcrowded and unable to function if they are required to detain people on 72-hour holds and sets up both doctors and emergency rooms to fail. Even more worrisome is the result for people suffering from addiction – with no guarantee of follow-up treatment or services – coerced detox will increase overdose deaths. Unlike 72-hour mental health holds, where the individual’s medical condition is stabilized, coerced detox renders a person unstable, weak, and vulnerable to the resumption of drug use. The body’s tolerance to drugs is lowered, but the individual’s ability to combat addiction and cravings is not heightened. As a result, it is no surprise that fatal overdoses are seven times more likely to occur after a period of incarceration. In the long run, the most important savings of a treatment-on-demand plan won’t be financial. It will be measured in human lives and families saved from scourge of addition. Carol Rose is executive director of the ACLU of Massachusetts, and Cheryl Zoll is chief executive officer of Tapestry Health.